Happy Friday and first day of July friends! Thank you for all the sweet birthday wishes on Wednesday, you guys are so sweet! My birthday was definitely a great day, who says getting older has to be bad, right? I've definitely noticed more and more people taking blogging breaks for the summer and I think I've decided to blog Monday, Wednesday and Friday or Monday, Wednesday and Thursday for the summer so if you notice me cutting back on posts, that's why. Work has been pretty busy so it's getting harder and harder for me to find time during the day to read and respond and with it staying light so late I find myself wanting to do more things when I get off work so cutting back just seems to make the most sense. Hope everyone understands! With that being said, I'll probably take Monday off since it is a holiday but after that I'm going to try to stick to a schedule! Now that I've got that out of the way, let's jump into my Friday Favorites with Amanda! 1 // The Mara Hoffman sale is on and I am loving SO many things. If this one was in my size I'd immediately scoop it up, the ruffle top is so cute! But definitely picking up these bikini bottoms to match some of the plain black tops I have and loving this print too... so many choices! 2 // My mom got me the Watt's Up highlighter for my birthday and I am obsessed. I really wasn't sure how I'd like the cream to to powder but it's great and the glow is absolutely perfect! 3 // Love the Chloe espadrille wedges but don't want to spend $600+ on them? I don't blame you! These are a perfect dupe for $160! 4 // I'm not really big on hot coffee (especially not in the summer) but this coffee mug describes exactly how I feel every weekend. Seriously, who do we need to talk to to make that a thing? 5 // Continuing with my tassel obsession... these are so stinkin' cute! I love the bright colors and they even look cute together! Hope everyone has a fabulous and safe 4th of July weekend! I love that benefits highlighter, I have been using it for a few years and it is my favorite! Love that stop and drink the rose pictures, too cute!! Have a great weekend! I love that swimsuit!!! Glad you found the highlighter that you love (yay for moms!) and I'm obsessed with those tassel necklaces this year--haven't gotten one yet but it's on my list :) Have a great weekend!! Those shoes.... swoon!! I keep hoping they show up as a birthday present in a couple weeks, hope you have a great weekend! I love the shoes and swimsuit! M, W, F has become my permanent blogging schedule and it works SO much better for my lifestyle! I'm down with it, do what you have to do...:) I love that mug, just saw it on another blog too. But can the next President please make it happen?! HA! Enjoy your long weekend beautiful! So glad you had a great birthday! I have those dupes on right now and highly recommend them! Happy Belated Birthday! Loving all your Friday Favorites -- how cute is that mug. And so true!! Have a great Fourth! Happy belated Birthday! I hear you on the blogging break or getting on a schedule that works for you. That mug is so true, ugh, why can't the weekends be longer?!? Those Marc Fisher wedges are back in my size! So glad you shared this post today. On my way to get them now :) happy 4th and happy belated birthday! I've been reading so many things from that highlighter and everyone says it is amazing! If only my office had a watercooler full of rose'! Cute stuff! Have a great weekend and enjoy your summer blogging schedule! I love that mug! So true. Blogging breaks are definitely necessary sometimes! I've been considering a reduced schedule too. Have a great weekend! I love that highlighter--it's a fave of mine! I am a tassel addict too!! I need that mug and a cold, cold room to drink coffee! So glad you had a great birthday, Pamela! That highlighter is gorgeous, one of my favorites! I prefer iced coffee in the summer but that mug...I NEED! And yes, a lot of bloggers have turned to a Summer schedule, which is actually a nice break! :) Hope you have a wonderful long weekend! I'm so happy that you had a good birthday!! You deserved it. I totally don't understand how people drink hot coffee in the summer. It's already so hot and humid, the thought of a hot drink makes me dizzy. But then again, I usually only drink iced coffee. Hope you have a wonderful holiday weekend. Totally took an unintentional blog break this summer - but it seems like everyone else is too, so that makes me feel better! Happy 4th! The Benefit what's app highlighter is the first ever highlighter i bought and I still love it! I'm slightly embarrassed to say that I only own like 2 things with tassels on them. I definitely need one of those necklaces in my life! Plus, that bathing suit is so cute, too. Have a great weekend! I hope that you have the best time celebrating the Fourth this weekend and hopefully a little more birthday celebrations too! 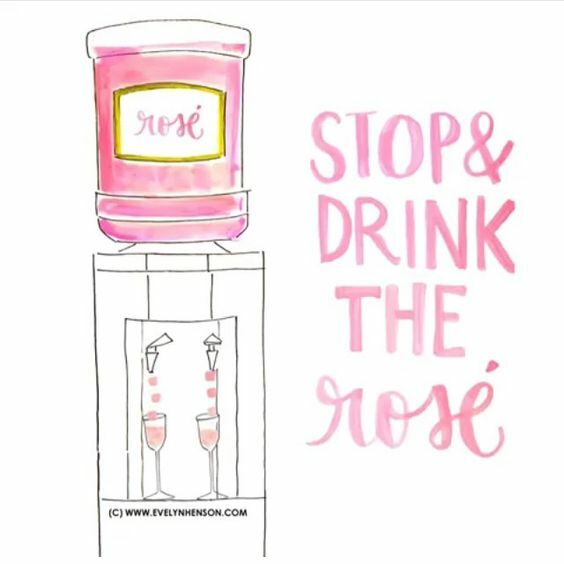 I want to know where I can get one of those rose dispensers because I don't know how my life is complete without one right now! And yes to all the coffee mugs! I'm not a huge coffee drinker either, but I can never have enough coffee mugs. Neeeed those tassels in my life! Especially with those colors! Adorable ruffle top bikini and i think those colors would look fab on you if you can get it in your size. I have a sample size of the Whatsapp and really need to use it more often now that you say it's pretty amazing. Have a wonderful weekend! Love those necklaces, wedges, and that mug!! I hear you on finding the time to blog. I am so busy during the week and don't get home until 8 every night. I feel like the last thing that I want to do is get on the computer. I hope that you had an amazing birthday, and have a wonderful weekend!! This swimsuit caught my attention. Love that mug and the necklaces! I am cutting back this summer, too. There's too much fun stuff to do! Have a great weekend, lady!